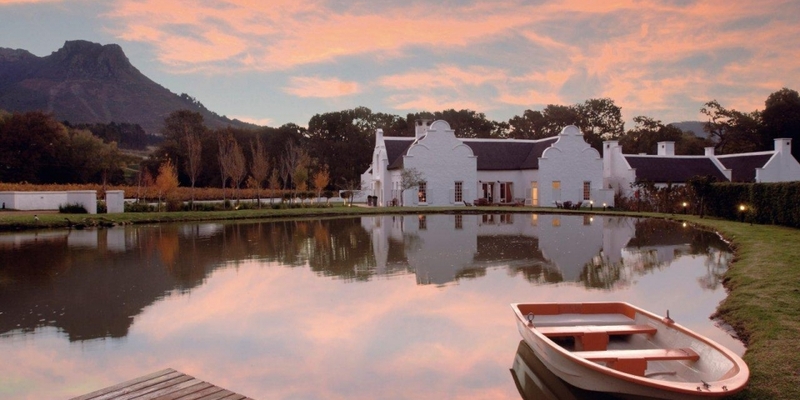 Set beneath dramatic elephant-shaped mountains and cradled by the Franschhoek and Stoney Brook rivers, few locations in the Cape Winelands match the beauty of the Holden Manz Wine Estate. This collection of whitewashed Cape Dutch buildings may only have 5 suites, but inside there's acres of space. This is more a stylish homestead than a hotel. As owners Migo and Gerard live on site, their influence and attention to detail is found throughout. Migo owns a gallery in town so contemporary sculptures and paintings are aplenty. Outside there's a picturesque lake, a sweep of neat lawn, and an orchard where fruits from pomegranates to peaches grow. Inside, an inner courtyard with neat beds of white pebbles and the sound of murmuring water induces a Zen-like mood of calm and wellbeing. Feng shui determined the positioning of the buildings to gain the best flow of chi, so you get the feeling nothing here is left to chance. The 22-hectare Holden Manz Wine Estate is situated between the Franschhoek River and Stony Brook at 300 meters above sea level. An exclusive grower of red grapes, the Estate only cultivates its top 16 hectares under vineyards, notably Cabernet Sauvignon, Cabernet Franc, Syrah and Merlot. Featuring a rich and diverse terroir influenced by its unique natural surroundings, with 3 different soil types and a marked seasonal climate, the estate's vineyards are perfectly suited to our intention - the production of ultra-premium wines made for the discerning wine connoisseur. With average production sitting at 100 tonnes of manually harvested, high quality grapes, an intimate approach with emphasis on 'attention to detail' is maintained throughout. Smaller tanks allow for separate, small-batch fermentations, while an open-plan barrel cellar provides our winemaker the access to tend to each barrel individually. Winemaker Thierry Haberer, has been making wine around the world for more than a decade, with roots that go back earlier than that - his grandfather was a vine grower in Morocco and later a producer in Corsica, a French island in the Mediterranean Sea where his father still makes wine today! "Growing up I was continuously exposed to great wines, visiting remarkable vineyards and tasting its creations, but my passion for wine making grew slowly until it became an obvious course I was destined to follow." A passionate and out-of-the-box approach combined with a deep respect for preserving the quality of the fruit shows in every bottle he produces, and there is no doubt that his quality-driven approach and thirst for innovation will set new standards in the Holden Manz range - something to look forward to as Thierry continues to delve into the potential bursting from a terroir and grapes alike. Just like the labels, every wine is a piece of art in itself and invites to sit and philosophize. Cape Ardor is the largest exclusive retailer of South Africa's top quality wines produced in and around the breathtaking winelands of Cape Town. Experience South Africa with us by enjoying our reviews on wineries, wine regions and top winemakers. 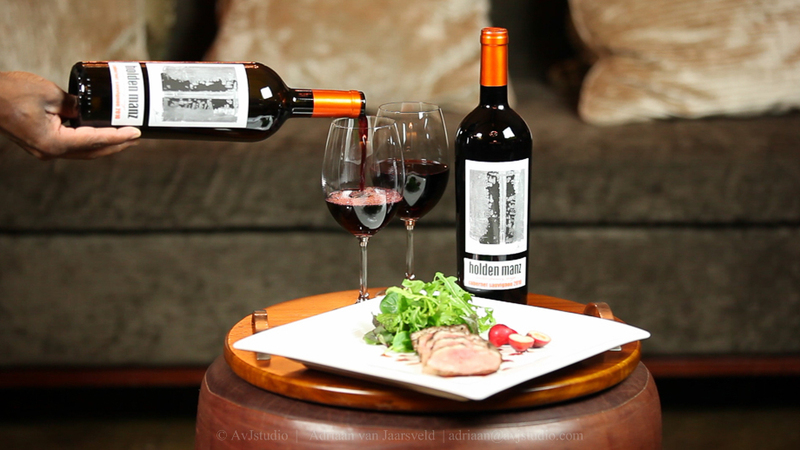 We look forward to bringing you the stories of this beautifully dynamic, multifaceted wine region.